This pregnancy is really starting to feel real. Maybe it is the fact that my stomach is starting to feel larger, maybe it is because I passed the half-way mark (how did that happen?! ), maybe it is because summer is just around the corner (and I equate summer with BABY). Whatever the reason, I am starting to think about scheduling our hospital tour (we are planning on a water birth in a hospital with a midwife), deciding on a birth class, sending in my pre-registration packet to the hospital, and starting to read all my books about labor and delivery. All I know is that I woke up this week, and realized that we are really going to have a baby at the end of this summer. Say, what? Pregnancy is so funny, because it really takes a long time to feel real. 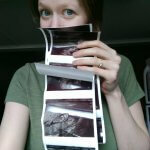 Throughout the first trimester I had trouble even wrapping my mind around the fact that I was really pregnant (I just felt like I had the flu). Then, this second trimester, I have had a few blissful weeks of feeling relatively normal again (except for the fact that I can feel a little person doing somersaults in my belly). Every new experience from hearing the heart beat for the first time, to feeling baby, to buying a few onesies has helped cement the fact that this is really happening. And then something about reaching the 21-week mark has me feeling like this is real. I think God is so good to give us new mamas nine months to wrap our minds around the idea that a new little life is growing inside of us. 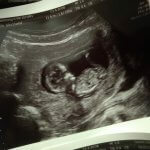 I know that our ultrasound, in six days, is only going to further drive home the fact that baby is a’coming soon! How big is baby? 10 1/2 inches long, and 3/4 of a lb! Whew! That baby is getting heavy! 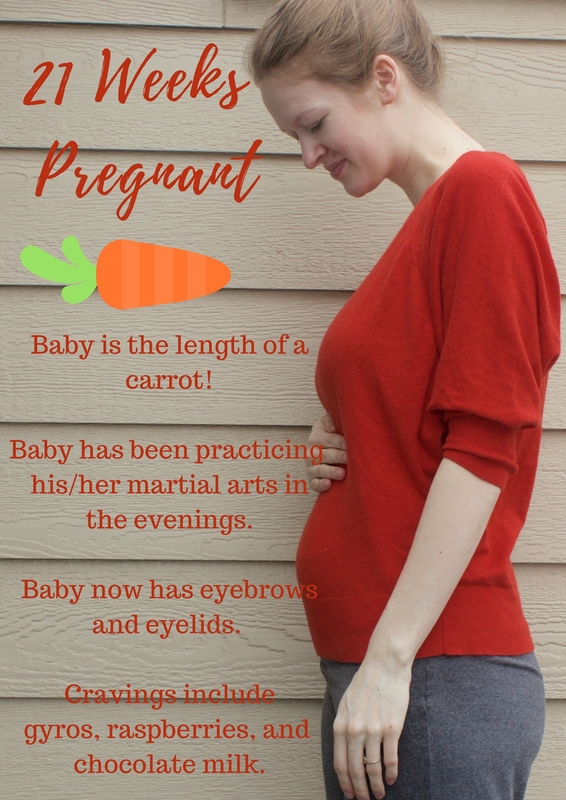 Baby is about as long as a carrot. This week, baby: Baby can now taste everything I eat: he/she is practicing swallowing amniotic fluid every day. Since baby already has taste buds, and the amniotic fluid flavor changes based on what I eat, baby might be acquiring a taste for certain foods. What I’m googling: neck pain during pregnancy. I’ve struggled this whole pregnancy with neck pain/headaches about 1-3 days a week. 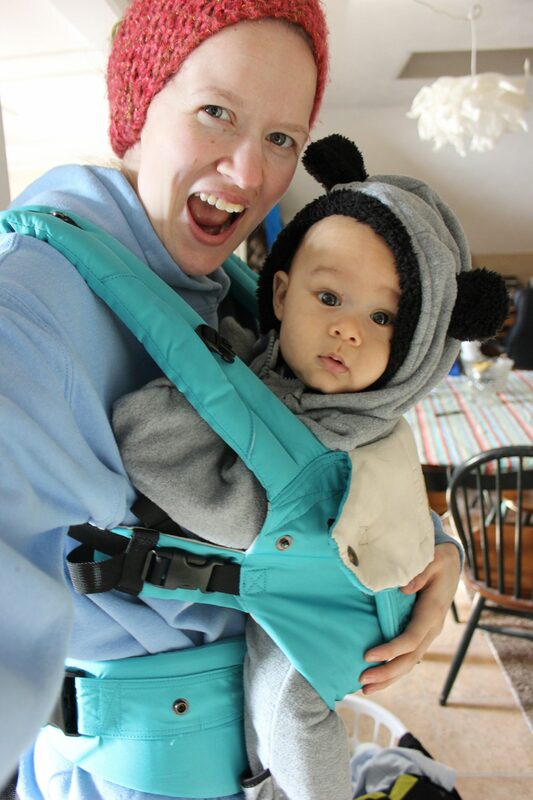 I think it is tied to all the hours I stare at a computer at work, but I never struggled with it before I became pregnant. I’ve been reading up on ways that I could help avoid it, including: buying a pregnancy pillow, doing yoga to stretch everything out, wearing proper shoes, and icing. I am already getting regularly adjusted, and getting massages so I need to branch out, and figure out a few new things to try. Purchases I’ve made: no purchases this week, although I’ve been researching pregnancy pillows, and trying to decide if I want to spring for one of them, or just buy a nice body pillow. How are you feeling? Right now, I am struggling with my neck pain/headache that often crops up mid-week for me. But overall I’ve been feeling really good! 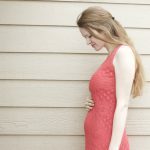 Maternity clothes: I am starting to look at maternity jeans. My jeans still fit, but I cannot deny that all my stretchy pants are way more comfortable. So, I am looking into buying my first pair of maternity jeans. Sleep: Overall, sleep is still great! Best moment this week: getting together with my family for Easter was so much fun! Worst moment this week: Just this yucky neck pain. Miss anything? My stamina. I just have a lot harder time getting through really long work days. Movement: This is the first week were I could see my stomach move, when baby was moving. 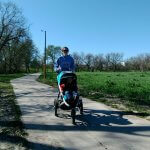 I have been feeling baby move (and hubby has felt it too!) since week 16, but this week I can actually see my belly move. Which is crazy! I am looking forward to when I can play with baby (I push on baby and he/she pushes back). Cravings: no real strong cravings this week. I am trying to drink red raspberry leaf tea every day, get enough protein, and up my water intake. Symptoms: shortness of breath, neck pain, headaches, smaller stomach capacity, quick gag reflex, sensitivity to smells, and increased need to use the bathroom (every five minutes). How’s Daddy doing? Saia’s doing great. He’s been such a champ throughout this whole pregnancy. He’s taken care of me, encouraged me, and made me laugh constantly. Looking forward to: Our first ultrasound in SIX days! Do you think Baby L is a girl or a boy? It’s so much fun to watch the belly move when the baby moves! That’s awesome that you’ve reached that point. I think baby is a boy! Just because tons of people I know have been having boys over the past year haha. Headaches are really common in pregnancy. My daughter really struggled with migraines when pregnant, and mentioned the problem to the family physician who was her preceptor for a clinical rotation (she was in the process of getting her degree as a nurse practitioner). He suggested taking magnesium supplements and the headaches disappeared. My daughter now works in an OB/Gyn office and because of her experience (and evidence-based research), they recommend it to any of their pregnant patients who are struggling with headaches. About the only side effect tends to be looser stools, which often is an advantage because of constipation associated with pregnancy. Check with your doctor first before supplementing.